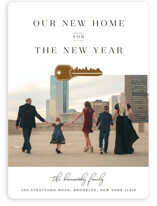 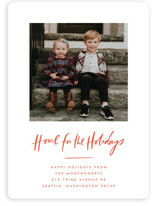 If you are moving to a new home around the holidays this year, combine your holiday card and your change of address cards into luxe holiday moving announcements this season. 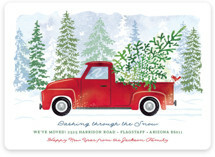 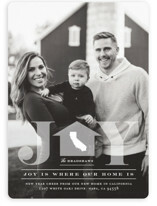 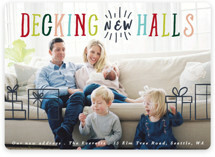 Moving announcement holiday cards are a great way to share the exciting news with your friends and family over the holidays, and be sure loved ones send their seasonal correspondence to the correct address. 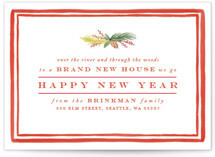 Even if you have been living in your new home for a few months, sending holiday change of address cards is the perfect opportunity to showcase your new home to friends and family who may not have seen it in person just yet. 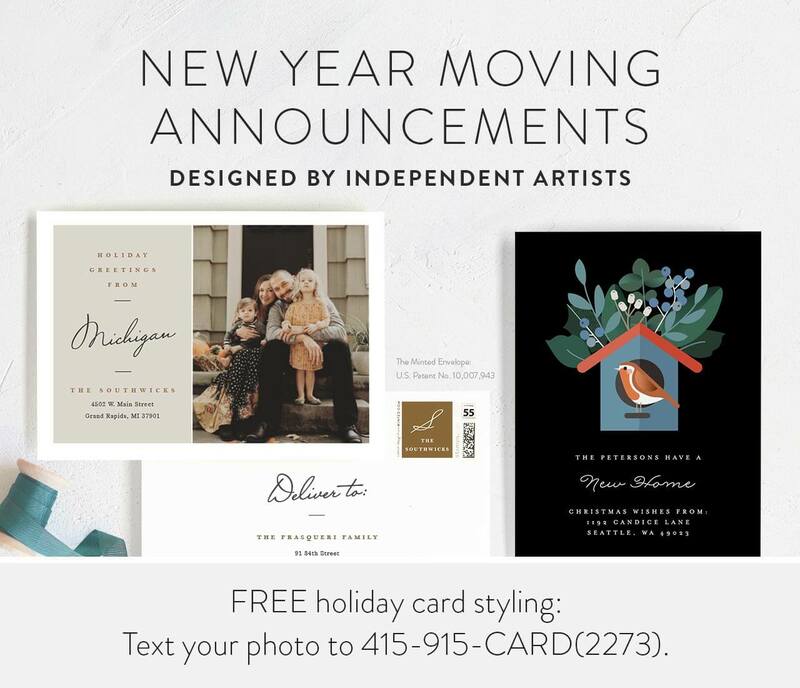 Each year, our luxurious holiday moving announcement photo cards are created exclusively for Minted by our global community of independent artists, so you won't find these designs anywhere else. 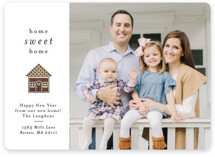 All of our change of address cards are fully customizable with your favorite family photos and personalized greeting, so you can make something truly one of a kind. 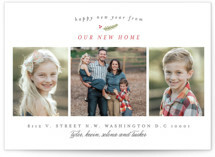 Even choose from our assortment of color and shape options to best compliment your chosen photo. 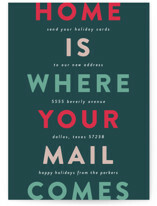 Want to send a more detailed update to friends and family? 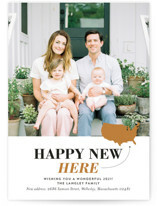 Include a backer on a flat card, or design a fold over holiday moving announcement to include more photos and text updates on everything your family accomplished over the last year. 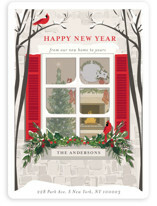 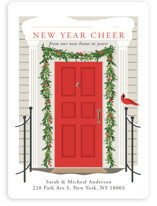 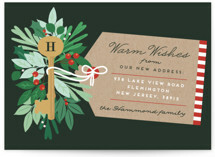 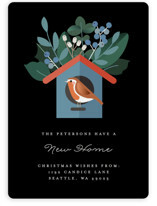 Add the finishing touch to your holiday change of address cards with our variety of premium paper options. 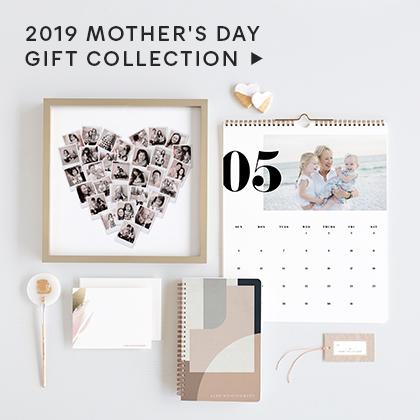 Ranging from our Signature Paper, a thick and luxurious stock, to our eco-friendly Recycled Paper, made from 100% post-consumer waste and manufactured with wind power we have an option for every style. 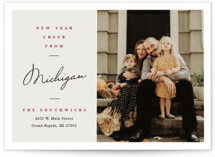 For those looking for the best photo quality, we have our Smooth Signature Paper. 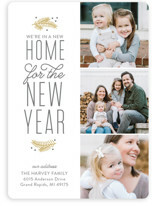 This is a double sided stock optimized to create the highest quality photo prints available. 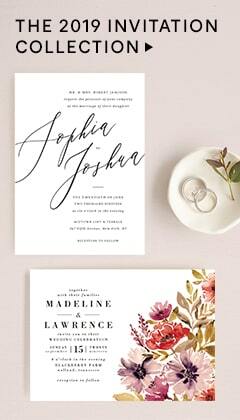 Try our beautiful Pearlescent Paper to add a subtle shiner finish for the ultimate elegance. 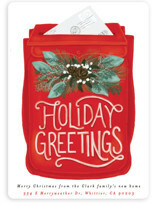 On select styles, you may even experience our thickest stock yet. 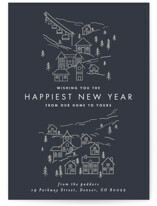 The TripleThick Paper option from Minted is of unmatched quality and weight, complimented by a creamy cotton texture. 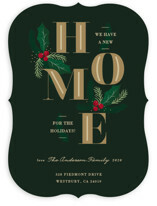 This luxurious stock is so thick it is unbendable, making it perfect for displaying your moving announcements all holiday season. 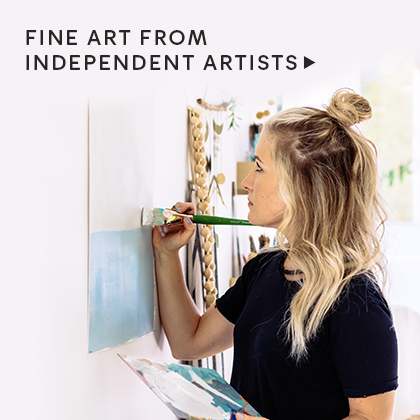 Need to see the product before deciding? 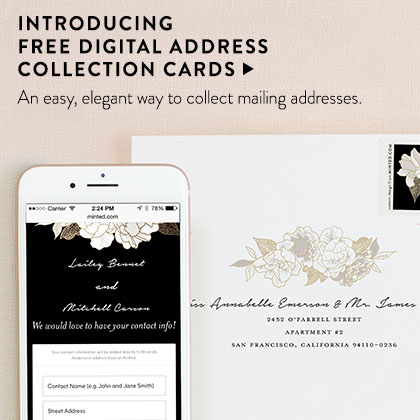 Simply order a sample to experience our rich colors and paper in person. 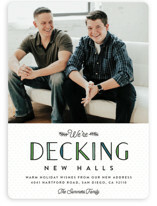 This holiday season be unique and send "we're moving" holiday cards.